The WHO World Cancer Report 2014 identified cancer as the leading global cause of death. The report was published at a time when multiple other reports showed an aggregate increase in the burden of prevalent chronic conditions, such as cardiovascular disease, diabetes and kidney disease. Whichever way the data are cut, significantly greater numbers of people are living with, and dying from, these conditions—many with multiple morbidities. The reasons include increased life expectancy and lifestyle risk factors, and a relative reduction in the infectious disease burden. While increased life expectancy is welcome, governments worldwide must develop evidence-based responses to the associated growth in chronic and co-morbid disease burden. Navigating through the evidence of population benefit will be a challenge, particularly at a time of increased patient expectations and expenditure on healthcare in most national economies. Although governments in many countries have reasonably good records in implementing health policy and delivering services, evidence is seldom the sole driver of decisions. Governments may favour political expediency, ideology and vested interests. Elected officials rarely invest optimal taxpayer funds into health and they are even less likely to invest when the returns take a long time to accrue. They may also protect powerful commercial groups whose interests are at odds with public health. For this reason, independent, evidence-based healthcare advocacy is a necessary and powerful driver for policy reform, either through a non-government organisation, a professional group or an individual. The potential for health professionals to drive the collection of evidence is another key reason why independent advocacy could be the key. 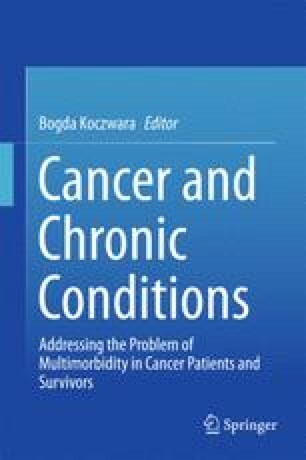 This chapter summarises key challenges in health policy and advocacy for the management of cancer and chronic conditions. It explores the role of the healthcare professional as advocate. It analyses a case study in advocacy from the Australian experience and includes recommended principles and techniques for driving change.